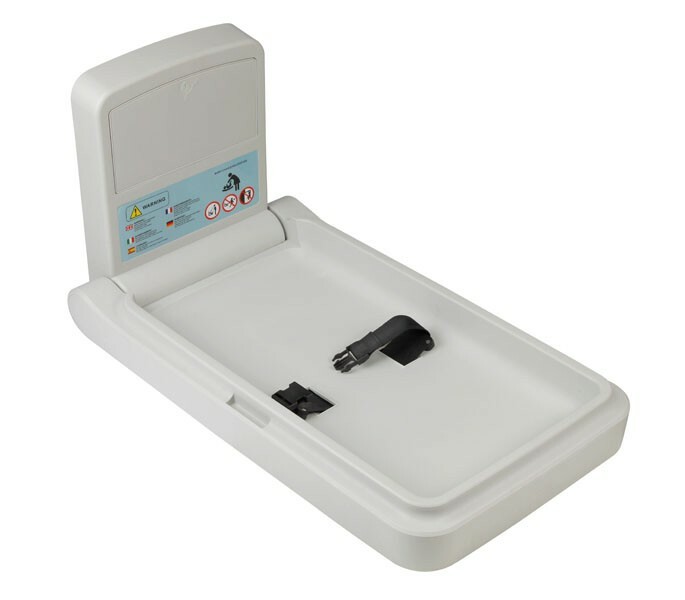 A folding baby changing table for use in public and commercial places such as airports, restaurants and shopping centres. 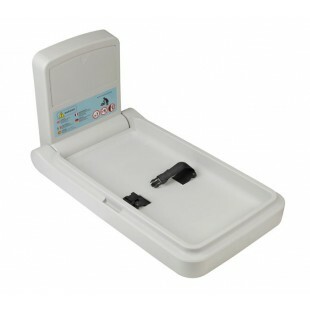 This wall mounted changing table is manufactured from antibacterial HDPE, which facilitates hygiene through reducing the risk of cross-contamination. Additionally, a disposable liner or blanket can be used between the child and changing facility. This folding baby changing table is easy to open and close and boasts a space-saving design through its foldable feature and vertical wall mounting. The unit is compliant with UK standards and is suitable for infants aged up to 12 months weighing less than 11kg, the child should be strapped in using the adjustable restraint belt to better protect the baby and improve safety. The unit measures 465mm in width with a height of 860mm and projection of 130mm when in a closed postion, and measures measures 465mm in width with a projection of 860mm when opened. 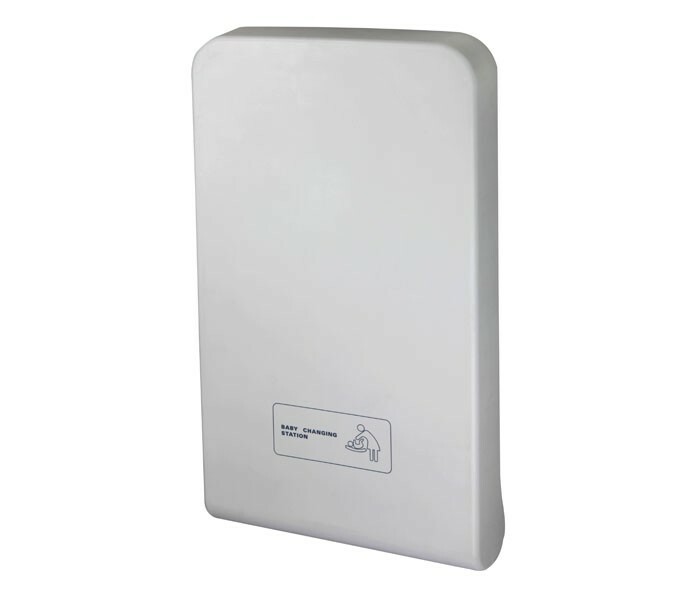 The wall mounting section has a 70mm projection, 345mm width and 445mm height.